If you’ve got a Post Office internet connection and you’re looking for a VPN then you may have a hard time. The Post Office has under 200,000 subscribers and when you consider the big four ISPs all have subscriber numbers in the millions then you start to understand why it’s difficult to find information. I tried to find a good comparison of VPN services for use on a Post Office internet connection and was surprised there is none. 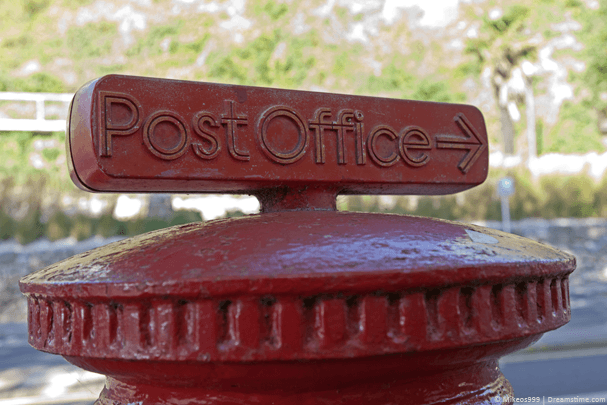 So to right that wrong I’ve been testing a range of VPN services with a Post Office internet connection to bring you a comparison of five of the best. I’ve picked IPVanish as the Best VPN for Post Office internet because overall they offer the best service. The speeds are some of the fastest I’ve seen and unlike speed dips of 40% or more with other providers IPVanish usually on suffered 15-20% speed loss using the highest encryption. There are 6 UK locations in London, Manchester, Liverpool, Nottingham, Glasgow and Belfast. Most VPN providers only offer London servers so these local connection points may offer you a further speed advantage. Keeping your privacy protected is easy, they have software for both Windows and Mac computers and apps for Android and iOS tablets and mobile phones. You can also connect 5 devices at the same time so you could protect your whole family or all your devices from just one account. We reviewed IPVanish in 2017, take a look. Overplay offers really simple to use software and apps for all systems. There are no fancy bells and whistles and getting connected to the service is super easy. All it takes is just a couple of clicks and you can be connected and protected within seconds. There are more than 50 countries with VPN servers and 3 locations across the UK in London, Manchester and Glasgow. The service comes with a free SmartDNS feature that allows you to access geo-restricted websites such as TV services from around the world. It doesn’t encrypt your internet so won’t protect your privacy but it doesn’t suffer from any noticeable speed loss like a VPN would. You still get the full VPN service too which does encrypt your internet and is excellent for protecting your online privacy. The service does cost a pound or two more per month than IPVanish for example but you do get the bonus SmartDNS service and if accessing worldwide TV is a big selling point for you then Overplay is your provider. If accessing as many countries around the world is your main goal then take a look at ExpressVPN. VPN servers are available in no less than 94 countries and more than 145 cities making it one of the largest VPN networks in the world. You’ll be hard pushed to find a country they don’t support and with UK servers in London, Berkshire, Chessington, Kent & Maidenhead they’re ideal for use with your Post Office internet package. A 30-day money back guarantee is available which is one of the longest in the market. This allows you to test the service with your Post Office internet connection for up to a month and if you’re unhappy you can get your money back. Software and apps are available for all major systems and devices and even Linux software for Ubuntu systems. Like the other providers, they store no network traffic logs to keep your privacy intact. If you’re struggling to choose a VPN provider out of the options and you wish you could try before you buy then VyprVPN are the service for you. They’re the only VPN provider I know of that offer an automatic free trial. You can test the service for 3-days without any payment just by entering your payment details. As long as you cancel before the 3 days run out then you won’t be charged anything. 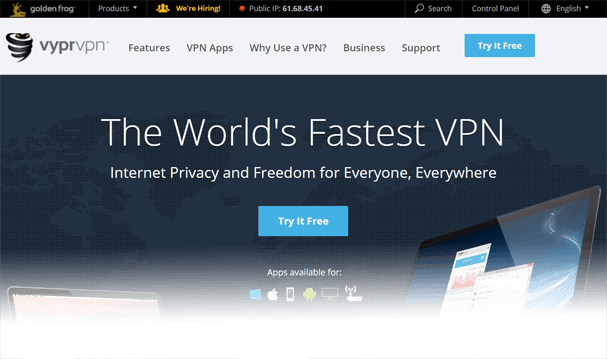 VyprVPN owns and operate all of the servers and hardware on their network. Many other VPN providers rent these from third parties so in theory, VyprVPN should be more secure than most due to this. If privacy is high on your priority list then this added feature will be ideal. A special VPN mode called Chameleon is available that disguises the OpenVPN protocol headers. While this isn’t hugely required just for use with the Post Office internet it will be useful if you travel abroad to countries such as China. StrongVPN offers something a little different to the other providers and they’re also a pound or two cheaper. The network offered is a lot smaller than the other providers but they do have 7 UK locations in Canterbury, Livingston, London, Maidenhead, Manchester, Nottingham and Rugby. If you’re looking for a cheap price then they could be the provider for you as long as you don’t need an expansive global network of VPN servers. For home use servers they actually offer the largest of any provider so they’re worth considering. 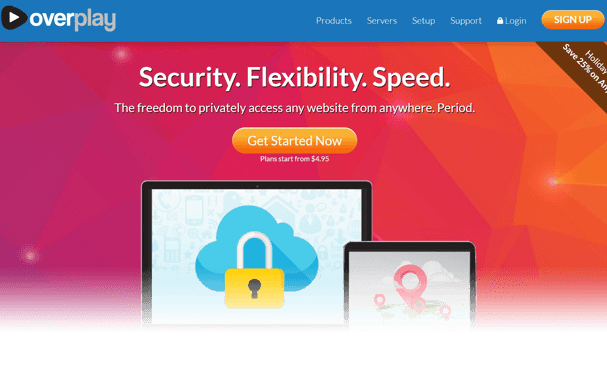 The software from StrongVPN isn’t as user-friendly and although not difficult to use if you’re a new user you’re better off sticking with one of the earlier providers. If you’re more of an advanced user then you shouldn’t have any problems. IPVanish is without a doubt my recommendation for a VPN for use with Post Office internet. Their overall service just pips the rest and out of the masses of services I tested they were clearly the best. If you have a lot of time to research then it’s worth taking a look at all five recommended providers above to see if there are certain features of one that you like more. Below are three good reasons to get a VPN for use with your Post Office internet connection. UK internet services are some of the most watched in the world. New regulations known as the Investigatory Powers Bill allow the government to snoop upon your connection and even log every website name you visit for 12 months. Let’s not forget that there is probably more “unknown” snooping going on by the government and nefarious hackers. A VPN will encrypt your internet and protect your privacy. There are thousands of different websites blocked in the UK such as torrent sites or other sites not allowed to be accessed on a UK internet connection. A VPN allows you to browse the web or access internet services via other countries and so bypass these blocks. Often some of the best TV comes from abroad. Shows and series are released months if not years before the UK. With a VPN you can access US, Canadian, Australian and other TV services from around the world and watch your favourite shows well ahead of any UK showing. Is Turbo VPN safe to use?